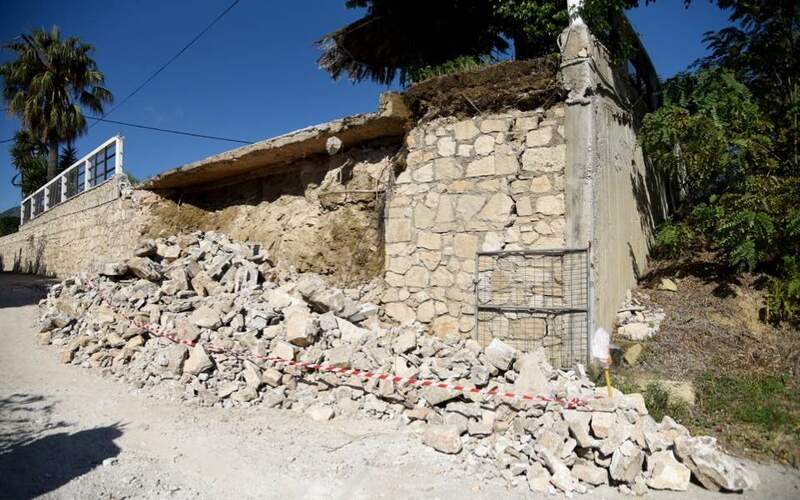 Inspectors said on Monday that 144 of the 268 buildings that have been so far assessed in the wake of a 6.4 magnitude quake on the Ionian island of Zakynthos have been declared unsafe. Another 124 were declared temporarily unsafe. State engineers will inspect more buildings in the coming days. Most of the damaged buildings are in the areas of Kalamaki, Laganas, Lithakia, Keri, Mahairado and Lagopodo. Zakynthos was again jolted early on Monday by an undersea quake measuring 4.4 on the Richter scale. The Geodynamic Institute of the Athens Observatory said it occurred some 70 kilometers southwest of the island.